and a constant journey of growth and learning. and their understanding of their worth and confidence starts with us. We understand parenting is one of our most vulnerable states our kids see. We listen hard. We apologize often. We rest in knowing we are doing the best we can. We recognize kids as individuals and not extensions of who we are; that their worth is not dependent on outside factors but that they are valued because they exist. are diverse and what is on the insides matters more than what is on the outside. We aspire to teach them to be in tune with others hearts, to empathize and know that everyone makes mistakes. who will use their gifts to impart change in their communities. This is how we are doing our part. THIS IS WHY WE ARE PARENTING WARRIORS FOR CHANGE. Feel free to tell us what you love about parenting and why you might want to get involved. Thank you for deciding to change the conversation around parenting! 1. Commit to raise our children with the understanding that bodies are diverse and what is on the inside matters more than what is on the outside. 2. Be willing to model grace, compassion, and love around our own bodies. 3. Refrain from punishing or rewarding kids with food, labeling it good or bad, and using it to numb their pain. Instead, we sit in their uncomfortableness, fear, and sadness. 4. De-stigmatize the word "fat." 5. Teach your sons and daughters their voice matters and encourage them to use it to communicate their experience, their pain, their joys, their individuality. To be brave enough to speak out against injustices. YOU APPROACH PARENTING THIS WAY. Share your Parenting Warrior heart with others while also giving back to our cause. A mom who is concerned about the messages our youth and adults face when it comes to their body and worth, hosted a movie night at her house for her friends, where they watched a documentary that addressed these issues and then had a honest conversation afterwards about what they can do. Everyone who attended donated the cost of a movie ticket to Ophelia’s Place. A mom who uses time at the grocery store checkout with her children to untangle the mixed messages in magazines around photo shop, the diet culture, the lack of diversity, unrealistic beauty expectations, and the objectification of all people. 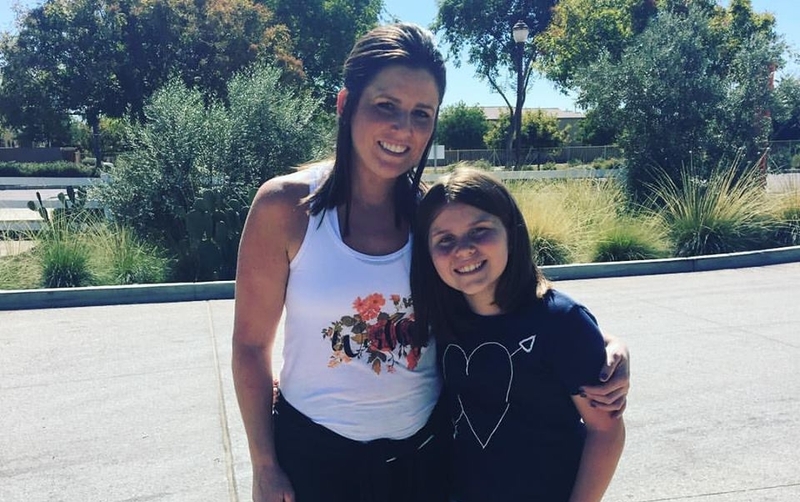 After learning that her daughter’s friends and classmates were struggling with body image issues one mom decided to host a Love Your Body Day for all 4th graders. So she created a safe place to have a talk about body image, what that means and how to deal with it as they grow.